The magic of Nene Thomas strikes again! 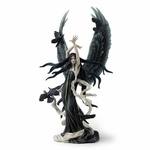 This gorgeous and unique figurine features an angelic fae lady sitting upon a crescent moon. 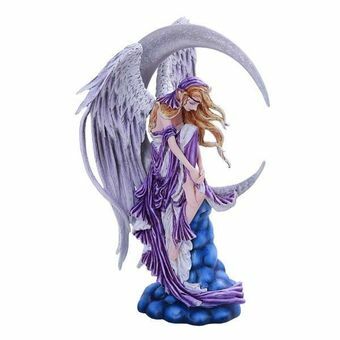 The pixie has a dress in shades of white and purple, and her hair flows free in the celestial breeze. Feathered angel wings curve elegantly around her as she rests. A stunning addition!